MBA or Master in Business Administration is a two year program that aims to make a candidate familiarize all the subjects in management and an expert in one particular specialization. An MBA degree, in general is a semester or a trimester based program. In first year of this program the primary focus is on providing a brief idea about various subjects of management. In the later part of the first year students are introduced with the specialized areas in which they wish to gain expertise, to run the course of their career. In the second year, student has to choose one specialization of his/her choice from the variety of specializations available to them. Choosing a specialization can be a difficult process for students. Thus, it is very important for a student to consider their career goals and professional development before choosing a specialization.This article is aimed at highlighting the features of top 10 MBA specializations that are offered to the students in their MBA colleges. MBA in finance is one of the most popular and highly coveted MBA specializations. IT would prepare a candidate in various subjects like costing, budgeting, international finance, capital management etc making him/ her, expert in Financial Management related areas. This expertise would enable a candidate to work in finance department of any organization. 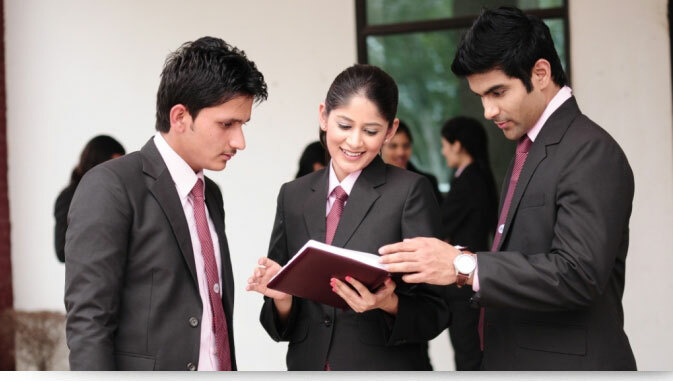 The Banking sector is the major destination for students pursuing MBA in Finance. Apart from banking sector, various other financial sectors such as Insurance Industry, Mutual Funds, Stock Exchange and Financial Consulting are bright avenues for MBA graduates in Finance. MBA in Human Resource Management is for those who have a passion to be a part of Human Resource functions and strategies. Their functions include workforce diversity management, mergers and acquisitions, managing demand and supply of labor markets in emerging economics and international leadership. A candidate should have a good communication skill and a charismatic personality for this. MBA in HR would also offer you bright opportunities to handle operations such as Recruitment, Talent Management, Retention Management and Reward Management. MBA in International Business course aims to provide a detailed understanding of the organizational capabilities required for international operations. It aims to impart skills pertaining to specialized functions such as international marketing, finance etc. The degree may be considered as an MBA with a particular focus on multinational corporations.In addition, MBA in International Business would also increase your chances to travel around the world to hone a cross-cultural perspective. MBA in Operation Management provides an in- depth knowledge in dealing with Production Management related functions. You learn how to maintain process flows, develop vendor and inter-departmental relationships. Most candidates with engineering backgrounds go for MBA Operations, as it gives them an edge over their peers in product development and designing, and process optimization. MBA in IT is designed to educate & develop managers who can effectively manage the planning, design, selection, implementation, usage & administration of emerging and converging information & communications technologies. IT graduates play essential role in the business team, typically in designing and implementing hardware and software solutions to solve business problems. MBA in Supply Chain Management provides a detailed knowledge about inventory management, warehousing and transportation of various materials required by the client or a company. It provides a unique and exciting opportunity in the field of business management.